Please pledge generously to the Hub’s Spacehive crowdfunding campaign, to enable a much needed roof to be put on all the outside terraces of the building to extend its usefulness to park users. 26 people have so far pledged over 1000 but we need nearly 14000 by August 1st. Together we can do it! Do it today! Or if you dont want to donate through the internet hand a donation direct to Hub staff and it will then be pledged to Spacehive. 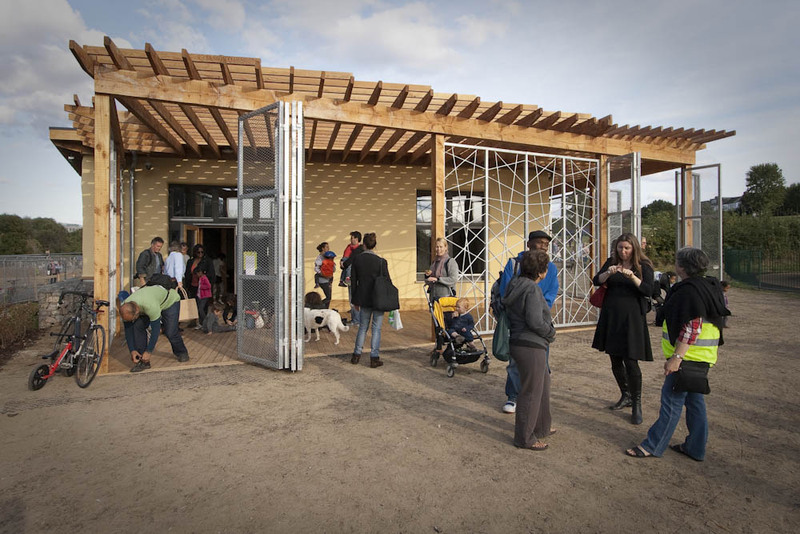 Help the Hub weather-proof the cafe terrace and other overhanging areas around the building to increase the Hub’s capacity to successfully serve as a hub for the park and the local community. Make a pledge on SpaceHive now to support this project. With a roof the Hub will be able to expand what is on offer to the community for example, outdoor bbqs, markets, stalls, kids workshops, dry space for buggies and prams and general refuge from the elements especially for dog walkers and cyclists. It will be a beautiful place from which to admire the surroundings, enjoy the wildlife lake and keep an eye on the kids in the adjacent playground, even when it is raining. The Friends were successful in getting a grant from Trust For London, for £7000 to do improvements to the lake in Lordship Rec. We will be adding more plants in the lake and building some more floating islands. We will aso be doing a new information board about the lake, renovating the wooden dipping platform and adding a couple more picnic tables nearby. Craft session for children in the Hub, Lordship Rec. Children need to be accompanied by an adult and there will be a charge of £1 per child to cover material costs. Outdoor Gym for Lordship Rec! We have the fantastic news that, with the help of Haringey Council, the Outdoor Gym Group has successfully secured £100,000 for Lordship Rec’s very own Outdoor Gym. The money is from a funding application to Sport England for £70k, with matched funding from Haringey Council for £30k. We are hoping this will get us 20 pieces of Exercise equipment including 3 pieces of Gymnastic equipment, 6 pieces of weighted equipment along with 2 outdoor table tennis tables. Thank you to everyone that supported the idea and to all those who gave their time to collect information, consultation data and helped to compile it into a winning funding application. Stop ‘redevelopment’ threats to the Broadwater Farm / Lordship Rec Area of Tottenham.. Protect our estates and park! 200 residents and park users attended the fprotest Public Meeting in the Broadwater Farm Community Centre on 23rd April. The Friends and other park user groups are planning a special Marathon Day to include publicity for the park’s potential for physical exercise. – The Hub cafe will be promoting healthy eating and broadcasting the Marathon all day live from 9am, including the mass start at 10am. – All welcome to join in the Walk Or Run: Its Fun! – Your Pace No Race… around the park starting at 11am at the Hub. Please register from 10.30am. – And there will be fun and games (tug-of-war etc), 12-1pm. – The Broadwater Farm Community Centre Gym will be open for free sessions – come and have a trial! 11am-3pm. 12-5pm BMX/Skate Jam in the skatepark, 12-5pm with competitions, music and food. 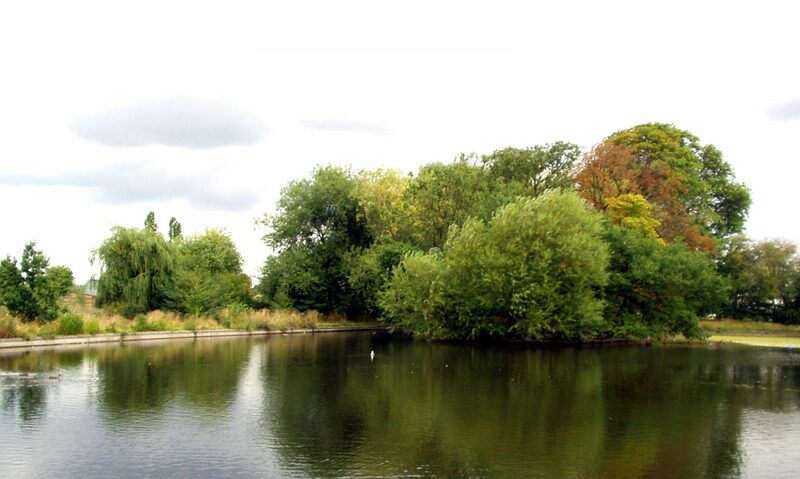 Help raise funds for further improvements to Lordship Rec! Lordship Rec, Tottenham’s largest public park, has recently undergone a successful regeneration which has transformed a previously neglected and run-down green space into an attractive, well-used and vibrant park. The Friends of Lordship Rec, in partnership with Haringey Council’s Parks Service, have led this regeneration effort. However, there are a range of further improvements needed to complete the regeneration plans. 100% of the money raised by donations between now and April 30 will go towards some of the additional improvements needed, including: a drinking fountain, seating, wildlife habitats, equipment for volunteers, and signage. – Cheques [made out to ‘Friends of Lordship (Marathon)’] can be posted to the Friends of Lordship Rec. We are also using the opportunity to promote Lordship Rec, its attractive walking/jogging routes and the newly-installed distance markers on those routes. Why not come and try the routes for yourself! You can also join in the weekly walks organised by the Lordship Rec Walking Group every Monday morning, meeting up at 9.20am at the Downhills Park Road entrance. Or join in the monthly ‘Your Pace, No Race’ sessions on the first Sunday of each month – meet 11am outside the Hub cafe by the lake in the park. And there are the cycling groups, the Brakethru Club, football teams and others promoting physical activity – including a plan for outdoor gym equipment near the Hub..